Woollyhugs > Latest.. > Auction > Spring Auction 2019 > Spring Auction. Number 15. Beautiful vintage cotton quilt in pink and green. Spring Auction. Number 15. 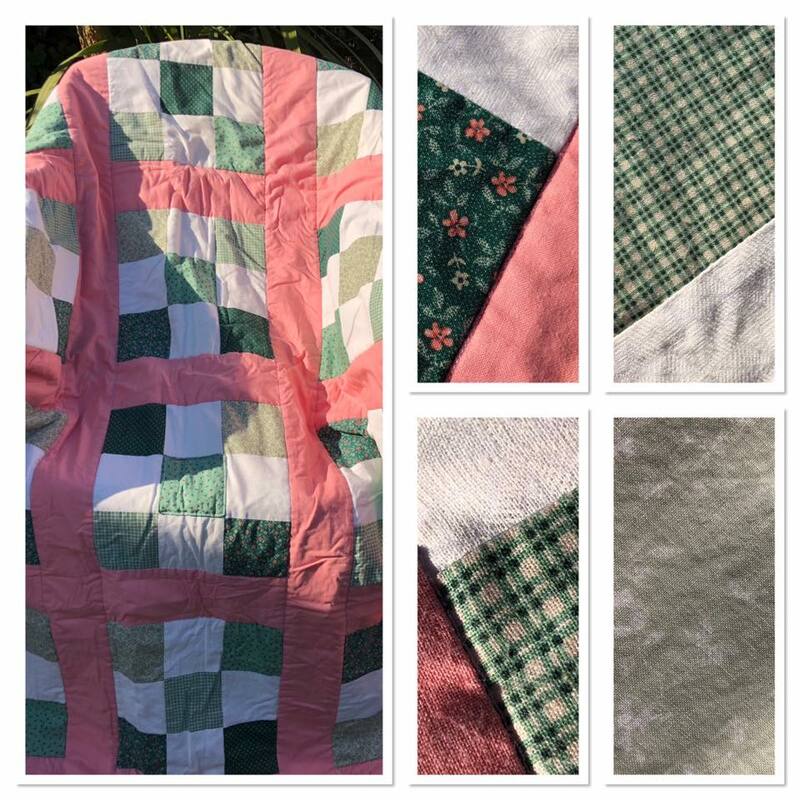 Beautiful vintage cotton quilt in pink and green. 15. Beautiful vintage cotton quilt in pink and green. This gorgeous quilt measures approx 102cm by 136cm and is quite heavy at 1.6kg. Has a pale green backing. It’s just lovely! This gorgeous quilt measures approx 102cm by 136cm and is quite heavy at 1.6kg. Has a pale green backing. It’s just lovely! item name : Spring Auction. Number 15. Beautiful vintage cotton quilt in pink and green. Spring Auction. Number 14. Sssssssshhhh! Spring Auction. Number 21. Gorgeous hand felted card. Sheeeps!